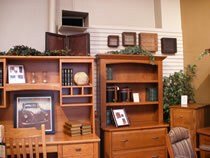 Want to know what the best furniture store Columbus, Ohio has to shop from is? We’ll give you a hint: it’s actually located in Westerville, Ohio. Actually you probably already do know that it is Amish Originals Furniture Co. If you are one of the few people who have never had the pleasure of shopping in our showroom, it’s time to get acquainted. So what’s in store for you at the #1 furniture store Columbus, Ohio has to shop from? Whatever you need – We have furniture for every room of the house including the living room, home theater, kids furniture, outdoors and everywhere in between. We also can help you whether you need a single accent table or your entire home filled with furniture. Superior selection and pricing – You don’t get to be the best furniture store Columbus, Ohio residents and visitors flock to by not being the best at everything. So when it comes to the variety we offer and the price tag attached, you’ll be more than pleased by both. Our mission is to make sure you find everything you need in one place and that you feel confident you wouldn’t be paying less down the road. It’s just one more way we’re dedicated to caring for our customers. Expert service – From the minute you walk in the door until the moment your furniture arrives, we offer nothing but the best service. So if you need help making choices for the finish of your furniture, you know you have an expert working with you. When your pieces are being expertly handcrafted by one of the more than 70 families we work with, you’ll know to expect nothing but the best. Even transporting those one of a kind items is done with expert care. Of course there’s so much more to earning the title of being the best furniture store Columbus, Ohio has around, but that’s a good start. There are also other details such as the fact that when you shop with us you can feel confident about being green. We take steps to be an environmentally responsible company, and you also can feel good about knowing that when your furniture is made there is no waste left behind. Our customer service approach may be old fashioned, but it’s that approach that keeps our customers coming back, referring their friends and sending in the next generation of their family to shop with us. It’s good to know you can shop with a place that brings together the best of the old and the new. You get the old fashioned customer service and time honored traditions used by generations of Amish families to make the furniture. Pair that with the modern style and approach to business and it’s a perfect match. That match is why customers travel from around Ohio and the country to shop our showroom. We’re proud to be the favorite choice as the furniture store Columbus, Ohio and surrounding areas trusts and will for generations to come.